buyers and investors. For British Asians, property has been the asset class of first choice and that will remain. It would be safe to say that the British Asian community’s appetite for investment in property continues unabated, despite market volatilities. We witnessed this during the 2007- 2008 financial crisis when they went against the grain to pick up properties at bargain prices, especially in and around London. As someone who invested in property in trendy Hoxton, London, a few decades ago, when it was a not-sodesirable location, I can safely vouch for playing the waiting game. Having weathered many a storm, I can confidently say.... this too shall pass. the costing for the developer in regards to the contribution for social housing. The costs are often uncertain, whimsical and illogical. Having recently been through the planning mill and coming out at the other side of the process, I can speak with some experience on the issue. It really felt as if a strategy was employed by the council to play a waiting game in an attempt to wear us out. This is arguably one of the most talked about topics, perhaps over the last decade. We have covered this in some depth and uniqueness in this issue and hope you enjoy it. Crossrail is another topic which has been mentioned unfavourably in the headlines, for both increased project times and increased costs. This means the window for purchasing in these locations remains open wider and for longer. The areas to concentrate on will be covered in this issue. We hope you enjoy this edition. If you have any suggestions or if you would like to contribute, please do get in touch. Help to Buy 1 & 2 bedroom apartments available through Help to Buy from ÂŁ365,000** All homes come with fully fitted kitchens and appliances. Balconies and parking also available on some homes. INFRASTRUCTURE 12 ways on how to make easy money? Rachel Dimond, Contributing Editor has brought her wealth of editorial experience to Asian House and Home. With her extensive background in publishing, she enjoys guiding the team, seeking new contributions and developing the magazine. THINK PINK Colour trend pink is showing no signs of slowing down and continues to appear in mainstream interiors as geometric wallpaper and blush pink sofas. Don’t be afraid of using this versatile colour, paired with blacks and greys for a neutral take, but add some terrazzo cushions for a modern vibe. GET SMART TECH Wake up with Amazon Echo Spot. This comes with a 2.5inch screen allowing you to make video calls, play music, display the weather and control smart home devices, amongst other things. Its small compact size makes it a neat space-saving alarm clock on your bedside table. Nano Leaf technology offers specially designed light panels which let you create your own shapes, and you can control the colour and light through your phone, Siri, or Alexa. The best part is how the panels change colour according to the music played. Fun for all the family! WAKE UP TO SUMMER Summer will soon be upon us and with it bring bright mornings, warm weather and fresh new blooms. Evoke that summery feeling: re-create the look indoors, using fresh colour in a restricted palette such as pink, green, blue and white. Make sure to choose a wall paint like Farrow and Ball’s Pavilion Blue, allowing the light to bounce through so the room feels spacious and inviting. Don’t forget to add some fresh flowers to make the room come alive! Incorporating metallic materials into your home can give instant glamor and a wow factor! With so much variety on the high street and at affordable prices, the world is your oyster when it comes to metallics. The tip is to use the same metallic colour in any one room to make the interiors work cohesively. Placing them against dark walls will really make them pop. GROW SUMMER FRUITS Start preparing for summer and grow your own fruit, like strawberries. You can plant a few in a medium sized pot, place it in a sunny position and watch them flower into delicious fruits ready for those long summer days! Get GREAT your lighting game on with the minimalistic metallic look with frosted glass, as metallics give warmth and reflect light, enhancing your lighting experience. Layer them up to create more ambience and the mood you want. Lighting with a minimalistic look will stand out against all the other ‘noise’ in the room. DID YOU KNOW? THE PANTONE COLOUR FOR 2019 IS LIVING CORAL, AN ENERGISING AND VIBRANT COLOUR THAT CAN BE USED AS EITHER AN ACCENT OR FOR STATEMENT PIECES. A VERSATILE COLOUR WHICH WORKS WELL WITH BLUE AND TEAL. BE BOLD Bold dark interiors are here to stay and whilst a brave choice, they can be easily adapted for your home. Pair bold colours with bright furniture to bring vibrancy into the room or pair with bright white furniture to get crisp clean lines. Paint in Pamber Green by www.AvkoInterior.co.uk. MARRAKECH Combine your holiday with an interiors holiday destination in Marrakech. This little gem was well known among artists, writers and politicians such as Yves Saint Laurent and Sir Winston Churchill and is still popular today. You can find all sorts of handcrafted items such as pottery, lamps and rugs at a reasonable price as long as you haggle! When you’re done shopping, immerse yourself in the cooling gardens and tranquil riads to give you even more inspiration for your home. VEGAN LEATHER It is no surprise that ‘Vegan’ was listed as a top word in 2018 according to The Collins Dictionary. Veganism continues to spread beyond the supermarket shelf into our homes, shoes and beauty products. Designers and brands are increasingly looking for more sustainable materials. Items such as vegan leather are being used, from Fashion Designer Stella McCartney’s shoes and handbags, to car manufacturers Mercedes, BMW and Tesla, who offer faux leather seating options. Now vegan leather products are more readily available for the home using www.VeganDesign.org which allows you to find the products more easily. MAN-CAVE OR SHE-CAVE Super-sheds have overtaken basement conversions as the musthave addition to a property. From she-sheds (the antithesis of a man-cave) to the “shoﬃce” (an outdoor oﬃce) and shepherd’s huts, the ease and attraction of this extra space is evident. Rather than depend on artiﬁcial light, these supersheds bring more light, and in many cases a scenic outlook. Another factor not spoken of so widely is the psychological distance a shed of any kind brings for those in, and out of the shed! Being creative on your own, without any sense of the ‘weight’ of those above you gets those creative juices ﬂowing faster! From teens to octogenarians, these super-sheds oﬀer pleasure and privacy for all, at any time of the day and night. They may be the answer to the current housing crisis. In the absence of being able to buy your ﬁrst home, families are increasingly building such sheds as interim homes. TUBE NUMBERS FALLING Flexible and remote working practices are contributing to this trend: instead of commuting to work five days, the new normal for Londoners is now four. Over the past decade, commuting trips have dropped by 14.2 per cent. With remote and flexible work hours becoming more widespread by the day, the dynamic of the UK property market is shifting irreversibly. The broader property market narrative continues to be one of low, single digit growth. Excitement has been building over the completion of Europe’s biggest infrastructure project, with the Elizabeth Line’s big launch scheduled for December 2019. The £14.8bn railway will serve 41 stations in total, stretching more than 60 miles from Reading and Heathrow in the west through tunnels in central London to Shenﬁeld and Abbey Wood in the east. Crucially, for Transport for London (TfL), it is also forecasted to bring a big ﬁnancial boost at a time when TfL is grappling with the substantial loss in grant funding from the government and a surprise fall in passenger numbers. LONDON HOUSE PRICES IN DANGER SINCE 2009! London house prices are on course for their ﬁrst annual fall since the ﬁnancial crisis as Brexit bites into the capital’s property market, industry experts warned this month. A poll of 30 specialists predicted that average house prices in London will slide around 1% this year, registering a decline for the ﬁrst time since 2009 and far behind a 1.7% rise nationally. The pound is down around 10% against the dollar since Britain voted to leave the European Union two years ago, making properties cheaper for overseas investors. But doubts over the outcome of protracted divorce talks have made buyers wary, alongside stamp duty rises and the removal of tax breaks for buy-to-let investors. LOCATION SWITCH A third of London property buyers switch location to beat stamp duty One-ﬁfth of ﬁrst-time buyers, and more than one-third of those in London, are changing the location of their property searches to pay less, or no stamp duty, research has found. The government’s move last year to abolish stamp duty for ﬁrst-time buyers on the ﬁrst £300,000 of any home costing up to £500,000 has inﬂuenced buyers’ decision-making about where to buy, and what they can aﬀord, ﬁndings suggest. THE AVERAGE AMOUNT A FIRST-TIME BUYER WILL PAY FOR A HOME IN LONDON IS DOUBLE THAT PAID BY FIRST-TIME BUYERS ACROSS THE REST OF THE UK, ACCORDING TO RESEARCH FROM LLOYDS BANK.THE AVERAGE PRICE FOR A FIRST HOME IN LONDON HAS RISEN BY 64 PER CENT IN THE PAST FIVE YEARS, THE BANK SAID, FROM £255,794 IN 2013 TO £420,132 CURRENTLY. BY COMPARISON, THE AVERAGE PRICE OF A HOME FOR FIRST-TIME BUYERS OUTSIDE OF LONDON IS ONLY £210,515. Investment in areas with leading universities has led these locations to record some of the biggest increases in such sales. Looking at the ten years prior to 2017, in addition to Cambridge ( up 441% ), there have been surges in Warwick (up 317%), Oxford (up 270%), Bristol (up 260%), and York (up 150%). 1,500 people will be able to fit onto each train. The estimated number of passengers that will use Crossrail annually. 15 MINUTES The impact it will have on journey times and therefore on property prices, is very interesting. It will cut journey times into Central London by 15 minutes on average and up to 40 minutes in some locations. 45 MINUTES 1.5 million more people will be only 45 minutes from London if they travel by Crossrail. can impact property prices positively all the way through to and beyond completion. This depends on local factors. You don’t have to be, and often don’t want to be, the first to the party. infrastructure investments. End buyers and tenants all need travel access, so infrastructure changes could provide you with some excellent opportunities. IT DOESN’T HAVE TO BE BIG TO MAKE YOU MONEY. For example, Crossrail is a massive investment in London. It is costing nearly £15 billion. While this has had, and will have a massive impact on prices, there are other events that can make you money. These will also help you avoid the herd, as everyone follows what is going on in the headline news. For example, Barking is not on the Crossrail line, but will benefit from a new TFL station. It is to be called Barking Riverside and is due to open in 2021. This news is not splashed across the pages of the national and London-wide papers as much as Crossrail, but it will impact local property prices. NEW INFRASTRUCTURE DOES NOT ALWAYS REQUIRE NEW INVESTMENTS. For example, Thameslink have changed their timetables significantly, increasing the number of trains from Brighton to London Bridge from five to fifteen. There are no new railways or new stations. But this is likely to impact prices. Another example of this is the new direct link from Maidstone into central London, obviating the need for commuters to drive to Ebbsfleet to hop on a train there. Maidstone property prices are likely to benefit from this. LOOK BEYOND THE INFRASTRUCTURE. Often the infrastructure project is part of a larger master-plan, or is triggering other investments into shopping centres and leisure facilities. When evaluating where to invest, identify the infrastructure project and then look around and beyond it, to see where the regeneration is emerging. Then make your move. INFRASTRUCTURE DOES NOT HAVE AN EQUAL IMPACT ACROSS THE BOARD. The headlines talk about the massive benefits of Crossrail. And these headlines are right. But they are not specific. The impact on journey times varies a lot. For example, the biggest journey time savings are on the West side of the railway. Maidenhead will enjoy a 38% saving in journey times into central London. Stratford, however, will experience no decrease in journey times, although its connectivity will improve. The impact on journey times in the Eastern part of what will be know as the Elizabeth Line is generally a lot less than the Western section. Shenfield will not gain in this respect, while Abbey Wood journey times will improve by 24%. Drill down into the detail and do the research. value is 6% and for Manchester it is 4.6%, For an urban situation, it is hard to find infrastructure that is too close to ONLY HALF BELIEVE the property. However, if the location is THE HEADLINES. too close and there are no barriers or When you read or hear an protection against noise, it is possible infrastructure story, the reality to have too much of a good thing. This behind the headlines could be better becomes more sensitive in a suburban or worse. Check the facts. Make or rural setting, where the calls. Go to official websites. Be increase in value from the curious. Listen. But always verify the new links is undermined information with reliable sources. by the noise and loss of VISIT THE LOCAL Make no assumptions that peace and quiet. AREA, SPEAK WITH SALES are not proven. AND LETTINGS AGENTS. RENTALS I often find lettings agents more TEND TO knowledgeable and more honest. SPIKE Ask lots of open questions. Try to LATER IN THE understand how the new infrastructure TIMELINE OF THE will impact the area. And, of course, INFRASTRUCTURE verify as much as you can. PROJECT. Buyers are willing to buy KEEP YOUR EYE ON THE property in the expectation USUAL FACTORS. that prices will rise due to the new Work out comparables. Check the infrastructure. New tenants are willing to rental numbers. Make sure the service pay a premium rent when the infrastructure charge is controlled and transparent. is actually working. Why would a tenant, Do all your checks. Donâ&#x20AC;&#x2122;t get who does not share in the rising equity carried away by just the value of the property, pay a premium rent infrastructure story. before the new infrastructure is delivered? This means that in the 12 months leading up to the opening of the new infrastructure, rents may start to spike, yields jump and prices surge. READ LOCAL PAPERS. You can find interesting news relating to new infrastructure at this more granular level. KEEP AN EYE ON THE SUPPLY SIDE. New infrastructure can be an exciting investment bet, but if there is a contemporaneous surge in the supply of new property, sales and rental may be flatter than forecast. l Fix the shower and taps in the bathroom on the north ern side of the wall. Mirrors can be on the northern or eastern side of the wall where the washbasin is on the no rth-east side. l Avoid clutter. l Use be autiful storage containe rs. l Real wo od adds a balance to the water element. n the old days, we could really see the stars as modern plumbing didn’t exist; washing and toilet functions took place outside whatever the weather. Wind shifted the smell, rain washed the area clean and other creatures disposed of the remnants. Natural and nice? Or awkward and scary? Bathrooms are for purification and renewal but can accumulate lower vibrations, what to speak of the smell and the question of waste disposal. If you are in a position to locate the best plot and construct according to Vastu Shastra, then do so. For those not able to do this, the following will help you make an informed choice if buying property. Plus, there are tips on making the best of what you have. A BIT OF HISTORY Bathrooms and toilets in India were and still are located outdoors in some areas. This was done for hygiene reasons and to separate them from the cooking and puja/ prayer areas of a dwelling. However, with advanced sewage and plumbing sysytems toilets in towns and cities are situated within the home. THE CHALLENGE Vastu and its companion science, Feng Shui, are based on ancient traditional lifestyles that valued purity and harmony with the elements, sun and moon.This enabled people to live well and become successful in their lives. Some instructions were based on the sun’s effect, so in the northern hemisphere these rules were not necessarily so relevant. However, with today’s fashion for ensuite bedrooms almost a norm, it is important to consider these rules, and try to apply Vastu to the bathroom and toilet facilities. A leaking tap is considered a huge vastu flaw. Money will not stay in the Bathrooms and toilets are considered to be one of the main house if there sources of negative energy, and this is one! can impact adversely on your health WHERE ARE THE DRAINS? PROPERTY PORTFOLIO TRADING & INVESTMENTS FACT: A property portfolio business has advantages over passive investments!! FACT: You may be running a property business and not know it!! FACT: You may be losing out on valuable tax relief!! FACT: You may be paying too much tax!! We have established a number of methods and delivered many tax efficient structures, for property trading and investments. Come and talk to us to see how we can help you grow in this difficult sector. Follow the procedures and watch for a change in rules! PRIOR NOTIFICATION Submit basic plans and elevations to the council, so that they can consult with the adjoining neighbours. We generally advise all of our clients to personally contact the adjoining owners before submitting the plans, as any objections (however irrelevant) can result in a refusal at the end of the alloted 42 days. If the neighbours are not happy with a 6m or 8m rear extension, see if you can negotiate something that they are happier with, as without their assistance you will have to revert to the standard 3m/4m extension to the rear. Following the 42 days, if there are no objections, then the council will issue a PRIOR NOTIFICATION NOT REQUIRED NOTICE. It’s critical to understand that this is NOT a planning consent. CERTIFICATE OF LAWFULNESS If you read the small print of the above notice, the local authority will generally in most cases advise/recommend you to apply for a Certificate of Lawfulness. For this, you will need more detailed plans drawn to scale, and the council will then confirm if the plans are LAWFUL after eight weeks. Without this document, you will have no written evidence that your extension meets the requirement of the relaxed legislation, and you could find yourself in a tricky position when you come to sell or remortgage your property in years to come. GENERAL CAVEATS The following are some of the general caveats to the 6m/8m rule, but others do apply, and you should check with your appointed Architect or Surveyor for further clarity: l The height of the roof (as measured from the lowest natural ground level) must not exceed 3m at the eaves. If the garden is significantly lower than the house, you may have difficulties. l The appearance of the proposed extension must match that of the existing house. l The extension can only be built to the rear of the original dwelling house and cannot be attached to any other extensions to the house on the sides. l The building must not be in a Conservation Area. are constructed and also detail the drainage, ventilation and insulation of the building. The building inspector will come to inspect at various stages and issue a Completion Certificate once the works are completed satisfactorily. THAMES WATER SEWER AGREEMENTS Any extension being built over or within 3m of a public sewer will require approval from the Sewerage Undertaker. The main concern here is that any existing manholes are relocated outside the extension, and that CLAY pipes only are used to reinstate any connections to the main public sewer. Builders are still often using plastic pipes on the pubic sewer, but the Sewerage Undertakers conduct random drainage surveys, and can legally force the building owner to replace these if they are found to be at fault. This could result in the extension floor being excavated after completion. A very costly mistake for the home owner, but most builders are oblivious to this fact. PARTY WALL AGREEMENTS Disputes with neighbours are now very common. The Party Wall etc. Act 1996, is an enabling tool that provides protection for BOTH parties. It is the building owner’s responsibility to notify all adjoining owners affected, and allow them the opportunity to either consent or dissent to the works. The building owner is responsible for all costs involved. Party Wall agreements are necessary (not limited) to the following works: l Excavation of foundations within 3m of an adjoining building l Works to a Party Wall involving removal of chimney breasts or insertion of steel beams for a through lounge, extension or loft conversion. Failure to serve proper notices can lead to subsequent legal action being taken by adjoining owners. So, trying to save costs can end up costing you dearly afterwards. If you are contemplating extending your home, it would be prudent to act soon. KISH BHUDIA IS A CHA RTERED ARCHITECTURAL TECHN OLOGIST & PARTY WALL SURVEY OR WITH OVER 20 YEARS EXPERI ENCE IN LOCAL AUTHORITY & PRI VATE BUILDING CONTROL. NOW RUNS AN ARCHITECTURAL & BUILDING CONSULTAN CY BASED IN HARROW, SPECIALISING IN HOME EXTENSION, RENOVATION AND NEW BUILD MARKET. The Indian diaspora is settled mostly in the cities, London, Leicester, Birmingham, Wolverhampton…but with house prices and schools more of a priority, what to speak of air quality, many are making the move to less urban areas. Finding somewhere with all the necessities ( including a good Cash and Carry) is not easy, but can be done, and there are good options close to London. Bedford is less than 50 miles from London. Overall the air is fresher, and the outlook greener, plus the river Great Ouse flows through this diverse and scenic town, despite the high street being a little less vibrant than you might want. However, although over eight percent of Bedford’s population are of Asian descent, it is said that almost 30 per cent of people living here are of partial Italian heritage, so you can expect to find some delicious pizza! Situated midway between Luton and Ampthill, Flitwick is 11 miles, or half an hour by car from Bedford. secondary schools, from state schools to independent ones, and many of these are outstanding. Once you make the adjustment, the general consensus is that it is well worth it. So list your priorities, plan ahead and act before house prices rise in these locations. Fridays, with local, fresh produce. RESTAURANTS The Vegan Veggie World in Bletchley is worth a visit, offering Chinese and Asian food. TEMPLES Visit the Hindu/Hare Krishna temple in Watford via the M1 and M25, or the Jain temple in Potters Bar via the M25, Junction 24, and there is a large Sikh temple in Bedford itself. SPORT & CULTURE Flitwick Leisure Centre has a swimming pool plus over 70 work out classes a week, with enough variety to keep a family happy. Nearby Bedford has a strong sporting heritage with football and rugby as well as rowing and kayaking and other water sport activities. Creating an inviting front garden to your home doesn’t have to be taxing. Just follow my easy tips to get your garden summer-ready, and reap the colourful rewards! WORDS: RUKMINI PATEL, WWW.RUKMINIPATEL.COM Summer wouldn’t be complete without the all time favourite, English Rose. With so many varieties and colours to choose from, what’s not to love about them! From climbing roses and shrubs to ramblers, they all have their qualities. Roses are timeless and give a classic look to any garden. Potted roses can be planted anytime, whilst bare rooted varieties must be planted in spring or autumn. If you have the height and sunny position, why not plant a fragrant climbing rose near your front door. The sweet fragrance will be wafting through your door every time you walk in or out. Using pots is an easy way of adding colour, especially with summer bedding now available in garden centres. You can place a couple of pots on either side of your front door to greet your guests. It’s also a good idea to add some pots to a bench, ready to sit outside for those long summer days. My personal favourite is to add some bright red Geraniums to window baskets to give a French countryside look – ooh la la! Lavender is a great spring/summer plant and looks great lined up against a driveway. Plant in a sunny spot and Lavender will give you continuous green foliage, flowers and aroma during summer. You can even cut a few stems and bring them into your home for that rustic country look. 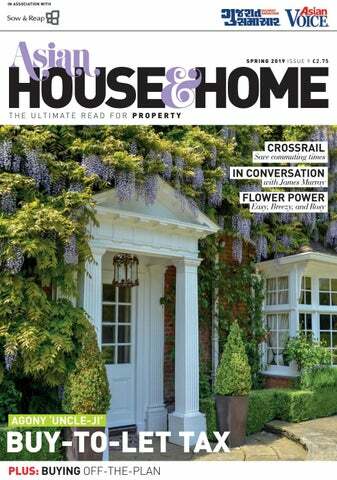 Wondering how you can get a thriving wisteria as featured on our front cover? Believe it or not, wisteria is relatively low maintenance, and inexpensive when bought young. These plants are sun worshipers and are best placed in full sun. Young wisteria will need to be trained to achieve the same results as our cover picture, and you need to remember to keep it well watered during hot, dry days. With a bit of patience your wisteria will showcase cascading flowers every spring! VAT EXPLAINED Why VAT shouldn’t put you off your next Commercial Investment. ith buy-to-let taxes increasing every year, more investors are looking at commercial projects. But where they often come unstuck is VAT. In this uncertain Brexit environment, investors only want high quality properties, and having VAT should not be a reason to turn away a good buy. This article, therefore, will help you understand how VAT affects commercial property investments and what this means for you as an investor. exempt altogether (e.g. most foods). VAT registered entities must also collect and pay (to the HMRC) VAT on all eligible sales. These entities can recover the VAT paid on their expenses. However, this must be in proportion to the eligible goods or services they supply, and again there are some exceptions. This process is done via a quarterly VAT return. and result in irrecoverable stamp duty being charged on that VAT amount. The typical solution to this is to have your buying entity VAT-registered and to treat the property purchase as a TOGC (transfer of a going concern). This means no VAT will be charged on the purchase and it will just become a quarterly accounting issue going forward, whereby VAT charged on your rent will be forwarded to the HMRC and VAT paid on any property expenses such as agency fees, legal fees and maintenance costs will be reclaimed. The potential future downside of owning a VAT property is that if it becomes vacant some tenants (typically smaller independents) may not wish to pay VAT on rent, due to the cash flow implications of this, or the fact that they are simply not registered. For most Blue Chip tenants being VAT registered is normal. One of the few exceptions are banks, who cannot charge VAT, however, as they are rarely opening new branches this is not likely to be an issue. THE TAKEAWAY Many investors don’t understand VAT and it often deters them from proceeding with a sale. We see this most commonly in the sub £500k budget category where buyers commonly invest in their personal names and don’t realise they can personally register for VAT – they will completely overlook an opportunity just because of VAT! The reality is that most of these issues can be sorted out quickly and efficiently with the right professional advice, using both an accountant to get registered, and a lawyer to confirm that the property can be treated as a TOGC. If the underlying asset is of a high quality and attractive price, VAT should not get in the way. With a number of experienced and reasonably priced accountants and lawyers on our team, we will ensure your focus is on the property being acquired, so that you do not lose out. If you have any questions, or simply want some advice on your commercial property investment, drop me a line at psp@prideview properties.co.uk or +44 (0)208 954 0878 and visit our website www. PropertyInvestment London.com. financial difficulties experienced by a couple of apartment sharers in San Francisco. Historically, the 2019 Brexit is inevitable for one simple reason. The EU evolved from the European Commission which was initially the European Economic Community (EEC). However, the EEC was actually started as the European Coal and Steel Community. This is a highly sophisticated political movement, based on a legal framework which envisages an ever close “political union”. Britain never signed up to a political union. Britain signed up to a trading club and politically, culturally and economically, Britain was never going to buy into a political union. At some point in the transition from an economic club to a political one, Britain would have to find a way out. It was a question of time. It could have been 2009 or 2029 but it was inevitable because, at heart, there is little affection to be part of a European political unit. The two tectonic plates of a political union and an economic club had to clash at some point. It was just a question of time when these plates collided, producing a political earthquake. At present there are five routes to a conclusion. Either we carry out Brexit on March 29th without a deal. Or we revoke Article 50. Or we postpone Article 50. Or we revoke or extend Article 50 and we vote in a second referendum. Or we sign up to the Withdrawal Agreement or some tweaked version of it. I am going to rule out revoking Article 50 or a second referendum on the basis that I cannot imagine such a brazen act of violence against our long cherished democratic values. I think the two most likely options are either a WTO/no-deal Brexit or a tweaked Withdrawal Agreement, including an extension of Article 50 for three months. While the outcome is impossible to predict, what is evident is that this period of uncertainty is a good time to buy property. No economic fundamentals have changed. And I do not think that Brexit or no Brexit will have much of a fundamental impact, positive or negative on the UK economy. Therefore, this period of uncertainty, while the Brexit issue is being settled, is dampening demand and temporarily suppressing prices. The largest Building material warehouse in Harrow Bulky materials are delivered to your home or building site. THE UK NEWSPAPER What does 2019 have in store for the UK property market and BTL investors? n March 2019 the UK formally leaves the EU and whilst Westminster engages in heated debate about the precise terms of the withdrawal process, there is growing speculation that the UK might in fact leave without a deal in place. During this time of uncertainty, property investors are setting out their long-term plans for the coming months and years, exploring how different assets are projected to perform as they adjust to a post-Brexit environment. Many will be looking to recent trends to understand what more immediate effects Brexit might have on market demand for UK property, potential capital growth and the housing supply. Nonetheless, the prospect of strong rental yields combined with capital growth has made real estate a consistently popular asset class. This is reflected by the fact that house prices have risen over the past 24 months despite Brexit. Moreover, at the height of political turmoil in December 2018 – a time when Theresa May’s proposed Brexit deal was overwhelmingly rejected by her colleagues – property transactions were up 3.6% year-on-year. COMPETITION FOR PROPERTY REMAINS STRONG Despite fears, the reality is that the residential property market has witnessed robust levels of sales since the 2016 referendum. London’s prime property market, for instance, witnessed a total of £4 billion worth of sales in 2018 in the £5 million plus sector of the market, an impressive rise of 10% year-on-year, according to the latest market intelligence report from Savills. On a grander scale, bricks and mortar remains a popular asset class among those seeking safe and secure returns. A recent report from the National Association of Estate Agents revealed that demand from prospective buyers increased by eight per cent between November and December 2018; meanwhile, year on year demand was up 13%. revealed that 31% of UK adults in the last year had a property deal fall through before completion. Of those, a third (33%) said the reason their deal collapsed was that they encountered problems due to delays from their mortgage lender. Therefore, BTL investors should ensure they have fast and reliable access to finance, and consult with brokers who have the knowledge and expertise when it comes to specialist lending options such as bridging loans. High demand for housing and a surge of construction projects in the country ensures that investors won’t lack avenues to direct investment towards in 2019. interest from those looking to invest in the student lettings market. With year-round demand for accommodation, the prospect of regular rental yields from university students is a promising option for investors. LOOKING FORWARD Although Brexit may pose an immediate challenge for the UK, this shouldn’t discourage those looking to BTL investments as a long-term commitment. High demand for housing and a surge of construction projects in the country ensures that investors won’t lack avenues to direct investment towards in 2019. More broadly, the UK property market has demonstrated time and again its resilience and ability to quickly recover from economic and political shocks, and I am confident it will remain a resilient asset during, and following, Brexit. our mobile phone can be your greatest help or your demise. It depends whether you use it to keep in touch and be very organised or over-use it and crash because you keep texting while driving. Buying off-the-plan is similar in this way. If you are astute, do your homework, are willing to take a risk yet cautious at the same time, then you can make excellent profits in this way. In this article I will set out six reasons why buying off-the-plan works, seven reasons how it can go wrong and seven things you must do when buying in this way. First, however, let’s discuss the two primary reasons why developers sell property off-the-plan. Most developers borrow in order to complete a project. Typically, the bank may stipulate that before they start lending the money, a certain amount of the properties must be committed to by an end-buyer. Hence, the need to sell offthe-plan. The more capable a developer is to sell off-the-plan the less of his own equity he has to use. This way his return on capital can shoot up as he has to invest less of his own money. Developers also like to de-risk the project themselves, irrespective of the bank. It is financially prudent to sell a percentage of the properties off-the-plan before committing to the very large construction bills. be lower in comparison to an equivalent property that is ten or twenty years old. The HelpToBuy government scheme offers soft terms for that element of the purchase in which traditional lenders will not advance. This helps you afford the property and reduces the chances of your not obtaining the mortgage value you need to complete the property. Capital growth – if the market goes in your favour and you have put down a 10% deposit then every 10% increase in the market prices delivers you a 100% return. Take a £400,000 apartment and you put down 10% for an 18 month completion, then once ready, if the market has appreciated 10%, you have made a £40,000 gain on a £40,00 deposit. there is a glut of property when you complete then you may have trouble selling or renting your apartment. Do your research. Make sure you can weather a short-term over-supply if there is one. Better still, avoid this scenario. Check out the development in person. When completion occurs, will the area remain a building site? Will it be noisy? Will you, therefore, be able to sell it or rent it? Do your research. Service charges can either be very high or uncertain or both. Ask the question. Make sure your lawyers check this. These costs can cripple a rental yield. Leverage is a risk as well as a benefit. This is linked to point number one. Just as a five or ten per cent deposit can deliver larger returns, it can also get wiped out more easily. Engage good lawyers who have lots of experience buying property off-the-plan. Ask what other developments they have done. Study the developer’s track-record. Make sure he has one. Find reviews. What is the finishing like? Are they a trustworthy company? Study the plans and the specifications and make sure you receive them through your lawyer. Do not necessarily believe it just because it is in the brochure. It must be in the contract to be true. Make sure that there is a defined snagging process in the contract and that you have rights to hold back some of the monies until all the snagging has been resolved. Budget. Budget for voids. Budget for lower rental income. Make sure that you can handle all the downsides if the apartment takes longer to build, with higher interest to pay, lower rental rates and so on. Spend time picking the right apartment in the development. Think about who is going to rent it or buy it. Do research on who would want to live there and then work out which apartment to opt for in terms of what they want. Don’t be biased by your own personal tastes, unless you plan to live there. Visit the land, walk the area, get to know the locality. Do all the normal things you would do when buying a property not off-the-plan. Check out the bus stops, the train stations, the crime rates, the local amenities, the local hospitals and schools, where relevant. Find out what regeneration is due. Pay attention to your credit rating so that you can get the mortgage when completion is nearing. Demonstrating you can deliver the cash quickly will massively increase your chances of doing a deal and at the right price. Anyone can make an offer and have it accepted, but this does not mean you’re able to execute it. We have often taken over deals where the buyers have been dragging their heels over a deal.The biggest mistake buyers make is not preparing their finances until they have found their property. Before you start your search, you must have appointed a lawyer, taken the tax advice, established how you will buy it, where the money will come from, who will provide the mortgage and how long it will take — meaning, get your ducks aligned. urrently we are in an environment where there is a large gap between asking prices and those that are actually paid. Appearances can often be deceptive so let’s examine this scenario. The masses will sit on the fence, but the astute will exploit this unique environment. The feedback we have had from agents is that uncertainty scares people; some buyers are even happier to pay 15-20% more with the prospect of certainty. Well my perspective is that there is no certainty in life at any stage, things can change suddenly. Therefore keep it simple. If you’re getting a deal, and it stacks up, take it. Don’t stare a gift horse in the mouth, as the saying goes. To help you, the reader, agree deals, we have prepared the following tips to use when bargaining. Hopefully it will serve to make the margin between the asking price and the strike price even wider. Generally speaking, a motivated seller in this market is likely to have a problem. You can probably put their situation in one of these three boxes: Divorce, Distress or Death. Your aim is to find out exactly what it is, and ensure you’re able to use this information. The agent - who is technically working for the seller, but in reality will just want to get the deal done - may be a source of information, so be prepared to do your own research as well, in order to verify. If you are on the ball you will see some little clues. For example, when visiting it is essential to check for red-top bills (a handy hint of difficult financial circumstances), or, when in the master bedroom check if two sets of clothes are hanging there. Also, are there two toothbrushes in the bathroom? The best value properties may never even come to market, with agents often handing them to favoured clients, so do your best to befriend them, and pester them with contact once you have. Those agents not showing you a house may be a more useful source of information than those who are. Demonstrating you can deliver the cash quickly will massively increase your chances of doing a deal and at the right price. Anyone can make an offer and have it accepted, but this does not mean you’re able to execute it. As soon as an agent quotes this you should be wary. This is likely to be well out of date. You cannot use comparables in this market, as the prices have fallen disproportionally over a short period of time. And comparisons are intrinsically inaccurate in this type of environment. Interrogate previous offers. If the agent says a previous offer was rejected, check how firm it was: was it in cash, was the finance in place, did the buyer have another home to sell first? Know which price information to ignore too. “When an agent starts talking to you about price per square foot, you know you have him on the run,” says Pryor. These metrics are likely to be months out of date. The above should serve as a good frame work to start your negotiation. ondon’s housing system appears broken today legislation around rent control at present. despite building a record number of affordable “Many cities-Scotland, Ireland, Berlin and even New and council houses. Inflated rents in private York- have forms of rent control which London lacks. sector housing, increase in rough sleeping, and a severe They are essential in helping to keep down private shortage in quality affordable homes for young working sector rents for people from low income families. class Londoners- who are therefore settling in commuter London needs its own, unique system of rent control,” cities around the capital- are at the heart of the capital’s he said. housing crisis. But ever since hitting the lows of the Meanwhile, in a bid to ensure more homes are financial crisis in 2008, we ask James Murray, if the available to the homeless, a neoliberal think tank is government’s solution of building 300,000 new calling for the Greater London Authority to scrap homes within the next five years really fix it’s its rules on minimum floor space around the housing crisis. concept of micro-homes. British Property “London has seen a considerable Federation defines micro-homes as growth in the number of jobs which living spaces between 20 and 40 sqm, means that people who work here that are either self-contained or share need to find someplace to live some amenities. A lot of other cities around as well. around the world are facing similar “I think that an increase in challenges. Does that mean that population is not met by an increase in London is headed towards replicating the amount of affordable homes that are the North Korea model of micro-homes currently available,” said the Deputy and, if so, could that be a real solution Mayor of Housing and Residential What we would say to its housing crisis in the near future? Development. “We are very clear that space is that although there Currently, James oversees the standards are crucial to our housing are ways in which Mayor’s £4.8bn affordable homes plans and we don’t believe that we the planning process programmes, including building need to cram people in order to build can be improved council homes for Londoners. But the real problem in more homes. It is important to ensure there is an uncertainty around it’s Londoners that if we are building London is that not feasibility and delivery. In a deal, greater density homes then they also enough investment is have decent sized homes meeting their recently, Sadiq Khan has allowed going into housing. requirements,” Murray emphasises. private house builders to limit the number of affordable houses in new According to Murray, London developments to 35% and is looking at fast-tracking councils and City Hall needs to have a real step this through the planning process. change in the level of investment in affordable housing, “What we would say is that although there are ways the investment in infrastructure to support new homes in which the planning process can be improved the real and the powers to acquire land and convert it into problem in London is that not enough investment is urban spaces. going into housing. “What frustrates me the most is that we don’t have “We know for instance that there are 280,000 all the powers and investment we need in London to homes in London which have planning permission truly fix the housing crisis. already but are not completed for people to live in and “We have some planning powers and some some have not even started,” he explained. investment and we are using all of the resources and But building affordable houses only scratches powers vested in us in building a record number of the surface of the problem. The government is also affordable homes and we are increasing the number of challenged by the crisis of inflated rents in the private houses that councils build in London in four-five folds sector housing market as London does not have any over the next four years,” he concluded. This month we answer some queries relating to parents helping their children buy their first home, the delay of HMRC’s Making Tax Digital initiative and if travel costs can be an allowable expense. I have heard there are some potential ‘tax traps’ for helping my child get onto the property ladder. If so, what are they? The Bank of Mum and Dad is equivalent to the ninth biggest lender in the UK! However since April 2016, parents with an existing home, helping their child purchase a 1st time home in joint names, are at risk of being hit with the additional 3% stamp duty land tax, depending on how the property is financed. At a later date, there are also potential capital gains consequences (for the parents) and stamp duty land tax charges (payable by the child) if the parents want to transfer their share of the property to the child, or if they no longer want to be a named person on the mortgage. Mortgage companies have recently become innovative in order to mitigate these tax issues, by creating a new product called ‘joint borrower sole proprietor mortgage’. These products allow parents to financially support their child whilst only the child has their name on the title deed. These mortgage products help to escape the stamp duty ‘surcharge trap’ -however the parents have no right to any asset. They may also have higher interest rates as not many lenders offer this type of product. Advice should be obtained before considering entering into any mortgage agreements. I understand that Brexit has played a part in delaying HMRC’s ‘ Making Tax Digital ’ launch date. What does this mean for landlords? HMRC’s MTD initiative has been delayed until 2020 (previously April 2019) at the earliest for all taxes except for VAT. The government has stated that only businesses who are VAT registered will have to keep digital records and send quarterly reports to HMRC, summarising their income, expenditure and proﬁts from April 2019. Good news is that, at the moment, landlords will not be mandated to keep digital records or report to HMRC on a quarterly basis. However, they will have to do this once MTD for Business (MTDfB) is eﬀective, but this is unlikely to be until after April 2020. YOGESH PATEL A CHARTERED TAX ADVISER, SPECIALISING IN PRIVATE CLIENTS AND ENTREPRENEURS ON VARIOUS TAXES AND ACCOUNTING MATTERS. FOR MORE INFO CONTACT YOGESH.PATEL@ GODLEY.CO.UK / 0208 515 1234. DISCLAIMER THIS ARTICLE IS INTENDED TO BE A GENERAL GUIDE AND CANNOT BE A SUBSTITUTE FOR PROFESSIONAL ADVICE. NEITHER THE AUTHOR(S) OR GODLEY & CO LTD ACCEPT ANY RESPONSIBILITY FOR ANY LOSS OCCASIONED TO ANY PERSON ACTING OR REFRAINING FROM ACTING AS A RESULT OF MATERIAL CONTAINED IN THIS PUBLICATION. I have many BTL properties and actively manage them. Can I deduct my travel costs against the rental property business? The general rule for qualifying prop erty expense deductions is that you can deduct business expe nses so long as they are: i) incurred wholly and exclusively for business purposes; and ii) not of a capital nature (e.g refur bishing a bathroom to a higher speciﬁcation). Therefore, any travel which is direc tly related to dealing with your BTL property business can pote ntially be claimed as a tax deductible expense. However, it is important to keep good records in the event HMRC were to enquire into your tax return. Categories 1. 2. 3. 4. 5. 6. 7. 8. 9. 10. 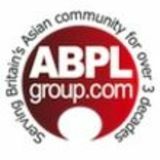 Is there someone you know from the Asian community who deserves recognition for their unique contribution to the community or the nation? COFFEE Vijay WITH ... Parikh Vijay Parikh is the Managing Partner of Harold Benjamin. Along with managing the firm, Vijay is part of the firm’s Commercial Property team. He specialises in acquisitions, disposals, funding arrangements and property auctions for a range of SME builders, property developers and private investor companies. Vijay is frequently engaged in multimillion pound transactions of large commercial units including warehouses, shopping centres, retail parks and hotels across the UK and Ireland. He also acts for substantial property management companies, funds, property companies and private investors from the Indian and East African community. Vijay also has well-established connections in India and East Africa with large corporates and high-net-worth individuals from India. How does your typical Monday start? I usually wake up at 6.30am. I am a morning person and it gives me an opportunity get a head start for the week. Before I leave for the office, I review the firm’s financial and pipeline reports for the previous seven days. This gives me the pulse of activity in the firm. I take time to bring myself up to date with the news and then ensure I am at our Harrow office by about 8.00am, when I take the opportunity to catch up with the finance, operations and management team, deal with any firm-wide matters and take stock of what’s in the diary for the week ahead. challenging climate, and ensure the firm is future-proofed with the ability to continue to invest in great people and key infrastructure to secure strong growth and development. Please share some trade secret with us! There are a number of principles that I follow. Firstly, relationships. The key to success is creating long-lasting and trusted relationships. I am still in contact with and act for a number of people who I met at the outset of my career. Secondly, there are no short cuts. Success takes time and hard work. You have to make sacrifices and if you work hard and concentrate on working hard, rewards will follow. significant transactions for my clients, particularly where the property and finance transactions are complex and take several months to crystallise. I have a number of very long-standing clients with whom I have worked for many years, and it’s great to work with these clients and help them achieve and build their property empires. Some of these long-standing clients are family businesses and there is a real sense of collaboration, where I have originally worked with the founding patriarch/s and now continue to work with the younger management teams. What’s the most valuable tool you have acquired in your work (skill, equipment, knowledge, experience, staff, creativity, assets?) The most valuable commodity in a business is its people. Many people in the firm have been with me in my previous practice or have known me for a number of years. I very much believe that if you respect and trust your team and employees you can achieve a great deal. Can you share some considerations that you find unique to the East African investor and also the Indian investor. Do you find their needs differ? The key difference between East African property investors and Indian investors is structure. Since the 1970s, many East African investors have set up sophisticated structures to operate their businesses and investments into the UK. Indian investors on the other hand, have usually organically formed through an extension of a successful family business with layers of structures. As the new generation of Indian investor owners take over, no doubt with their parents’ investment in education, it will be difficult to determine any substantial difference between these two communities of investors at all. Specialists in fast, flexible, bespoke bridging loans Broken chains are to blame for for a tenth t of all property deals that fall through. MFS combines speed and experience to make sure buyers have the finance they need to complete their purchase. MFS provides bridging loans for... .